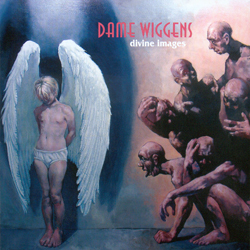 Dame Wiggens was created by the singer Cristin Lindqvist and the composer/guitarist Kent Olofsson in the mid 90s. The duo has mainly worked in the studio as a hobby. The similar background and music taste of Kent and Cristin, as well as an interest for experimenting with music, has created an exciting breeding ground for a new kind of experimental pop and rock music. An eccentric mix of Progressive Rock, Electronica, Jazz and Art Music blends into a remarkable breadth. Influences from bands and artists like Björk, Led Zeppelin, Yes, Peter Gabriel, Black Sabbath, King Crimson, Frank Zappa, as well as influences from Contemporary Art Music, Jazz, EAM and Folk Music can be noticed. Yet all ingredients are well melted into a most personal style of the band. Art Rock is the closest definition of Dame Wiggens’ mixed style. Read more at Dame Wiggen's official web page (opens in a new window or tab). Some of the sound clips to the right are also to be found at Dame Wiggen's web page. You can also listen to more sound clips there. Enjoy the incredible texts to all the songs that are recorded on the album 'divine images'. The texts are borrowed from William Blake's Songs of Innocence and Songs of Experience. Since these texts are not always the easiest to understand now, 200 years after they were written, you can find a description in depth of the texts and my interpretation of them. The three first songs to the right are from the album 'divine images'. The last three songs are demo recordings and are not released on any album. The last song on the list, Dame Wiggins of Lee and her seven wonderful cats is a poem written by John Ruskin in 1823. When recording this song we also got the name to our band, but with the spelling Dame Wiggens. Here is the full poem to the song.